Football, hockey, lacrosse, and rugby...These are the sports that probably come to mind when you think of "contact sports". Players in these sports need to protect their teeth with mouthguards. However, with the increased awareness of dental injuries and new technology, both baseball and softball players are beginning to consider mouthguards now too. Most low contact sports don't require mouthguards, but the American Dental Association still recommends them for "non-contact, competitive, or recreational activities". Safety advocates point out that both batters and field players are still at risk for dental injuries. A ball pitched or hit directly to the face can cause serious head and orofacial injuries, especially with fast-pitch speeds reaching 90mph. If the batter has an unlucky aim, pitchers can also be at risk of taking a ball to the face. The solution is not as simple as deciding to wear a mouthguard or forcing your child to wear one. It’s well-documented that athletes hate mouthguards. When players were asked why, the number one reason cited was that they’re uncomfortable. By looking at them, you can see why. Conventional mouthguards are gag-inducing and they take away the ability to focus on the game itself. Especially in a team sport, athletes need to be able to communicate, drink, and breathe. When mouthguards are bulky and get in the way, they get chewed on or forgotten about, which negates the purpose of the mouthguard in the first place. The answer to that is a thin and custom fit mouthguard that players won't notice. Custom fitted mouthguards are thin and more protective because they protect all the corners of your teeth that a one-size-fits-all guard can’t get to. They are becoming more accessible and affordable on the market place. Up until recently, if an athlete wanted a custom fit mouthguard, they had to go to their dentist for impressions which was costly. Now there are mouthguards available that athletes can fit at home and don’t require impressions. When it comes down to it, an athlete of any sport puts their body at risk for injury. That’s why it’s so important to invest in protective gear. Mouthguards may not be the sexiest thing in the world, but a toothless grin is definitely worse. What are your thoughts? 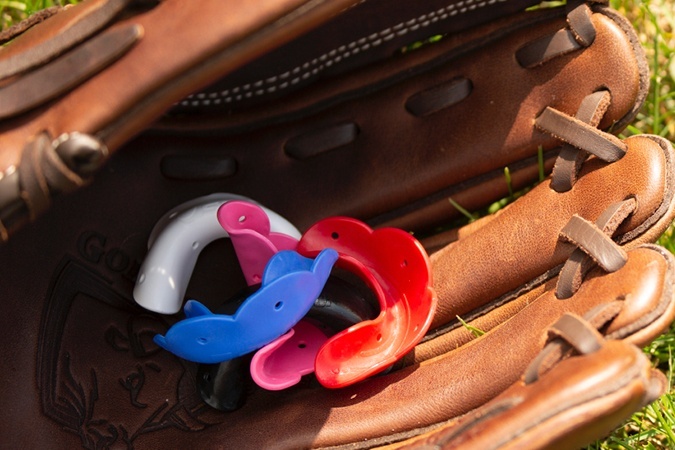 Do you or your child wear a mouthguard for softball or baseball? What is the Fastest Growing Sport in America?